Burnout Syndrome in Critical Care: What Needs to Happen Now? Following the release of the U.S. Critical Care Societies Collaborative Call to Action on Burnout Syndrome, ICU Management & Practice interviewed co-authors Ruth Kleinpell and Vicki Good from the American Association of Critical-Care Nurses. Q. Is there a tendency for health professionals experiencing burnout not to admit it or recognise it? Kleinpell: There is a tendency for healthcare professionals experiencing burnout not to admit or recognise it as some perceive they need to be stoic - and that admitting their feelings might be perceived as a sign of weakness. The CCSC Call to Action is intended to highlight the importance of preventing and addressing burnout in ICU healthcare professionals, and to bring recognition that burnout is common among members of high-stress professions. Burnout is commonly caused by emotional, mental and physical exhaustion related to excessive or prolonged stress, and we must increase awareness of the importance of recognizing and managing burnout. We are encouraging ICU healthcare providers to share how they are addressing burnout by joining the conversation at #STOPICUBurnout. Good: Healthcare personnel go into this profession to care for others and we frequently forget that we need care ourselves. Some personnel see this as a sign of “weakness” and do not want to admit that they may need to engage in self-care or set personal and professional boundaries. This is one reason why the CCSC has issued a Call to Action for the profession as a whole and individually to bring attention to the importance of recognising and addressing burnout. Q. Is there a balance needed between system solutions and individual actions by the health professional who is at risk of burnout syndrome? Kleinpell: A balance is needed between system solutions to address prevention of burnout such as providing staff with adequate lunch and break times, and individual actions of the health care professional, such as taking advantage of workplace fitness facilities or other stress reduction measures. The demands of patient care in the ICU can be challenging and the fast-paced environment can lead to a stressful work environment. 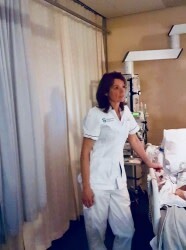 Having workplace measures in place such as yoga or fitness classes, providing access to a respite room, and ensuring adequate staff support measures such as debriefings after an emergency situation are very useful in providing stress relief and in balancing the fast-paced work environment in the ICU. Good: Organisations and the overall healthcare system must provide an environment that is healthy and conducive to preventing burnout. The American Association of Critical-Care Nurses (AACN) advocates firmly that nurses must practice in healthy work environments and has been a leader by defining the key standards that must be in place in order to have such environments. Those standards include: skilled communication, true collaboration, authentic leadership, effective decision making, appropriate staffing and meaningful recognition. Additionally, we as individuals must take accountability to prevent burnout by practicing good self-care by taking breaks and vacation time, seeking assistance when needed, and taking care of our overall health and welfare. Q. What can the ICU director do to prevent burnout or to ensure individuals who experience burnout get help quickly? Kleinpell: ICU directors can reinforce the importance of preventing and addressing burnout and make it a priority. The CCSC Call to Action can be used to promote awareness among ICU staff as well as to encourage staff to take advantage of workplace stress reduction measures. Good: One of the first things ICU leaders must do is learn how to recognize when staff are experiencing burnout syndrome. Once recognised, then interventions should begin. Interventions will be based on the individual as burnout is not “equal” across individuals. One person’s burnout may be related to lack of rest from the stressful environment, therefore a vacation or not working overtime might address those concerns. Another person’s experience may be related to feeling a lack of professional/personal accomplishment. This individual might respond to projects, going back to school or engaging with a professional association. 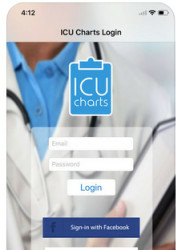 What is the ICU Charts app? Burnout, critical care, burnout in critical care, burnout in ICUs, American Association of Critical-Care Nursees Following the release of the U.S. Critical Care Societies Collaborative Call to Action on Burnout Syndrome, ICU Management & Practice interviewed co-authors Ruth Kleinpell and Vicki Good from the American Association of Critical-Care Nurses.